For those interested, the museum organises guided tours through the surroundings of the museum once a month. An expert guide takes you through the former anti-aircraft battery of ‘Nordmole’. During this tour you are given access to bunkers that are not otherwise open to the public. The guided tour start at the museum in which a 7,5 cm gun is stationed. 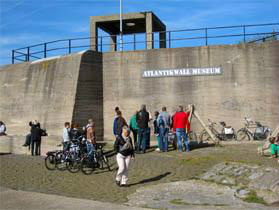 In this bunker you will first experience the story of the Atlantikwall (Atlantic Wall) through original artefacts, audio and video, dioramas and text panels. 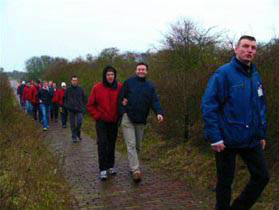 The guide will take you through the dunes along both visible and buried remains of the German anti-aircraft gun (FLAK) battery. 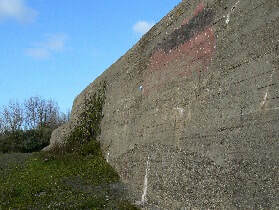 All gun emplacements in the battery are still present. 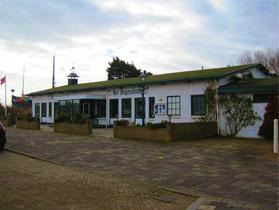 The tour will be interrupted by a short break at the former ‘Wehrmachtsheim’, a canteen and mess room that is now home to Restaurant ‘Het Jagershuis’ (The hunters’ cabin). 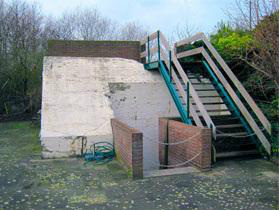 This is a very rare type of bunker designed for water storage, which you will be able to go inside of. It is the only one left of its kind and can hold 30,000 litres of water. 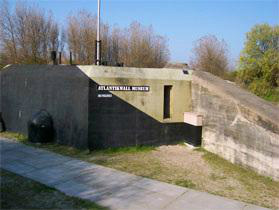 A 5,5 cm ‘Kampfwagenkanone’ is stationed in this bunker. Through a re-enactment in and around this bunker you will be given an impression of the daily lives of the German soldiers stationed here during the war. The re-enactors will also demonstrate the firearms used by the Germans. At the type 625b bunker and on the way back to the museum, you will also be able to marvel at the 1,5 kilometre long anti tank wall. Almost the entire wall has survived to this day. The tour ends back at the Atlantikwall-Museum at the pier. Notice: Dates and admission fees of guided tours in 2018 are unknown yet. You can only book a spot in one our Nordmole guided tours through our website. In order for us to complete your booking we must receive confirmation of your payment through iDeal.